In this issue: Honor Harrington returns, a tramp freighter crewmember takes a stand for freedom, and John Lambshead explores the nature of intelligence. All that, plus a new short story set in the Jao Empire series. The Mesan Alignment has a plan to remake the galaxy and genetically improve the human race—its way. Until recently, things have gone as scheduled. That was before they came face-to-face with the Star Empire of Manticore. Now, the Alignment has engineered a war in order to undercut Manticore’s galaxy-wide reputation. But even the best laid plans can have unintended consequences, and one of those consequences may just be the dawn of a new bright day of freedom for oppressed star nations everywhere. Angie Kaneshiro was a veteran of the Freehold Forces of Grainne, but was now crew on board a tramp freighter. Then the war with Earth started. The UN forces may hold most of the stations, the docks, and the jump points, but war is complicated, and heroes can be forged in its crucible—even if the hero turns out to be a tramp freighter crew-woman willing to fight for the freedom she loves. For as long as Vikram Bannerji can remember, the alien Jao have ruled the Earth. Just four years old when the invasion began, Vikram has grown up hating the alien overlords. But now something has changed. 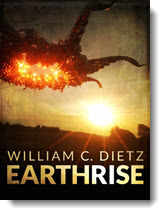 The Ekhat, once thought to be nothing more than a Jao myth, have launched an attack on Earth. And the Ekhat are far worse than any Jao. Now Vikram must make a choice: let years of anger and blind hatred rule his life . . . or choose a nobler path. Read “Bringer of Fire” by David Carrico here. And check out the latest novel in the Jao Empire series, The Span of Empire by Eric Flint and David Carrico, here. 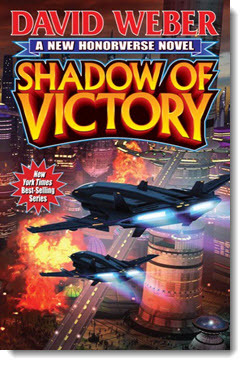 Baen Books is proud to present a new epic poem, serialized in ten parts. 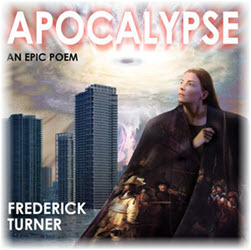 Written by celebrated poet Frederick Turner, Apocalypse examines the effects of catastrophic climate change—and the men and women who do whatever it takes to save the planet. Over the next weeks, a new section of this novel-length work will be posted on the Baen Books main web site, and then collected complete as an ebook that will appear when the serialization is done. So watch every Thursday from now until the end of September 2016 for new installments! It seems every so often there’s a news article heralding a new, bold step toward creating an Artificial Intelligence. Some futurists believe we’ll have AI within our lifetimes. Not so fast, says Dr. John Lambshead. Sure, you can simulate intelligence. But, as Dr. Lambshead points out, you can also simulate rain—“but no one gets wet.” So what differentiates true intelligence from the science fictional artificial variety? The answers can be found in this month’s free nonfiction essay. 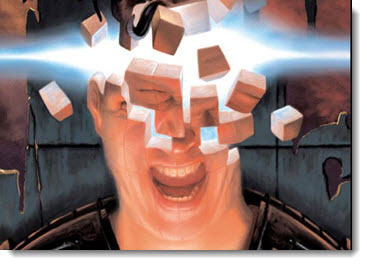 Read “Quantum of Consciousness” here. 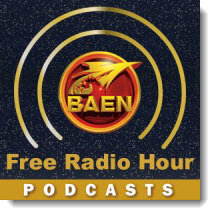 Coming soon to the Baen Free Radio Hour: Les Johnson discusses near future science fiction novel On to the Asteroid, the sequel to Back to the Moon by Travis S. Taylor and Les Johnson. Rick Boatright and Kerryn Offord on 1636: The Chronicles of Dr. Gribbleflotz; and David Drake discusses his landmark science fiction novel Redliners which is now out in an all-new 20th Anniversary Edition with an essay by Drake and supplemental new material. Missed past episodes? No problem. We’ve got every episode archived for your listening pleasure. 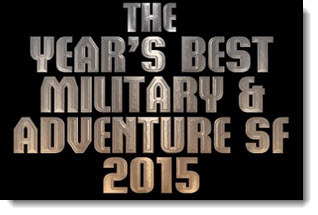 To coincide with the release of The Year’s Best Military and Adventure SF 2015, Baen Books is pleased to announce the second annual Year’s Best Military and Adventure Science Fiction Readers’ Choice Award. The award honors the best of the best in this grand storytelling tradition, and its winner will receive an inscribed plaque and a $500 prize. And YOU are the judge! Choose your favorite story from the contents of The Year’s Best Military and Adventure SF 2015 and reward its author for excellence. Voting closes August 31, 2016. The Mesan Alignment has engineered a war in order to undercut the Star Kingdom of Manticore’s galaxy-wide reputation. But even the best laid plans can have unintended consequences, and one of those consequences may just be the dawn of a new bright day of freedom for oppressed star nations everywhere. 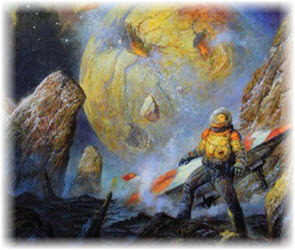 From Robert A. Heinlein’s “Ordeal in Space,” in which the merest kitten confers the gift of courage on his human, to Cordwainer Smith’s “Ballad of Lost C’mell,” which answers the very question of what would be the outcome of the melding of human and cat, we offer here sixteen reasons why space is truly the feline frontier. The laws of Xylar decreed that a king could only reign for five years, after which he would be beheaded. King Jorian, however, had different ideas. When his half-decade was up, he made a run for it. But his beloved wife was left behind. Now, with the help of the wizard Karadur, he’ll mount a rescue. This collection of transcribed conversations delves into all aspects of Silverberg’s life, such as his extensive travel, passion for film, opera and classical music—as well as his decades-spanning career in SF. These inventive and compelling stories contain tales of transcending cyborgs, shapeshifting bears, sentient hands, rogue GPSs, superhero moms' groups, zombie chipmunks, and a story told from the point of view of a paddle in Pong. Dave Crowell is a hero of the eight worlds of the Union, but he doesn’t want fame or fortune. These days he just wants to run his private detective business with his partner and forget about the Ultras, the insidious aliens that attacked the Union, then vanished. But a client turns up dead under mysterious circumstances, and Crowell knows the Ultras have not gone away. A man is found murdered and brutally impaled near the Seattle waterfront, and during the investigation, private detectives Dave Crowell and Alan Brindos come face to face with an alien drug known as RuBy. This collection brings together alien encounters, classic fantasy creatures, and strange magic; stories with heart, of people making their ways in the world the best they can, however strange and hostile those worlds might be. All this, now brought together in the first widely available retrospective collection of Vaughn's work. This debut collection from Nebula-nominated author Caroline M. Yoachim showcases a wide-ranging selection of dark and beautiful stories, fiction that explores human nature against vividly imagined speculative backdrops. When the alien Saurons invaded, they killed billions—and enslaved the remaining human population, forcing them to build mysterious temples. Now, former government bodyguard Jack Manning finds himself at the center of a conspiracy. The temples are far more dangerous than ever imagined. Manning will face a choice: save himself and the woman he loves or risk everything to mount a resistance. Rebellion is in the air, and the fight for freedom is spreading far and wide, from the center of activity in Washington to the distant lands of Guatemala. A diverse group of rebels, including an ex-FBI agent, a doctor inside the heart of enemy territory, and the president will have to band together with a host of other insurgents from across war-torn Earth to overcome impossible odds if they're to save what's left of humankind. Davi Rhii helped his enslaved people fight for their freedom and earn equality, but now that they are equal, they’ve found freedom and acceptance don’t necessarily go hand-in-hand. A madcap, satirical race among the factions of humanity who rush to the center of the galaxy in order to respond to an invitation from God. 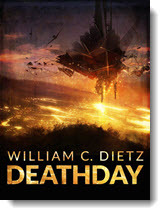 By the New York Times bestselling coauthor of Dune: House Atreides. Dyan’s mother is held prisoner and scheduled to be executed for letting her daughter live. 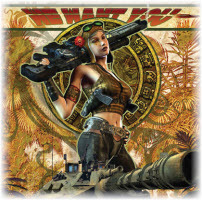 Rescuing her will push Dyan and Jak to the limits, unveiling to them the dark secrets at the heart of Buza System. The apocalypse is rough, even on the angels. Raphael, Bearer of the Word and sometimes rebel, is offered a chance to redeem himself, but to win his restoration he has to cross a shattered America to find and call a new . . . and different sort of . . . prophet. All three volumes in the high-octane military SF series, The Fifth Foreign Legion. Includes March or Die, Honor and Fidelity, and Cohort of the Damned. Against the odds, Jelani and his friends are still alive. But vampires stalk them, and the claws of death close in. Survival seems impossible, but Jelani must fight; if not for himself, then for the people he loves.